I have very fond memories of putting up the Christmas tree when I was younger. I'm sure there was Christmas music playing (probably Amy Grant) as we hauled the tree up the stairs. It was always a game to figure out which of the color-coded branches went on first (we finally got smart and wrote it on the box) and then we sorted through our ornaments. 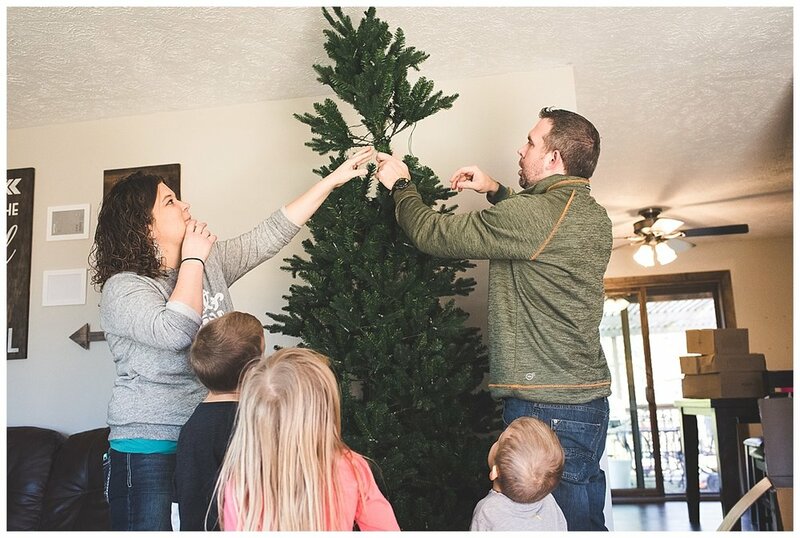 It was a tradition in our family to give each kid their own ornament each year and it was so fun to see the newest ornaments that we forgot about from the previous year! Blake and Casey's kids were so excited to put up the tree - they kept jumping around and generally being crazy! 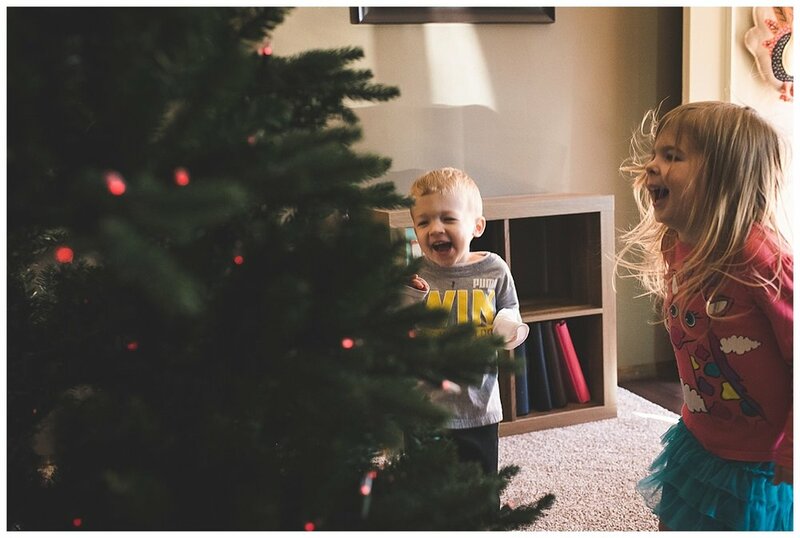 Now I remember why I never seem to get good photos of my own kids putting up our tree - I'm too busy controlling the chaos and making sure nothing gets broken! 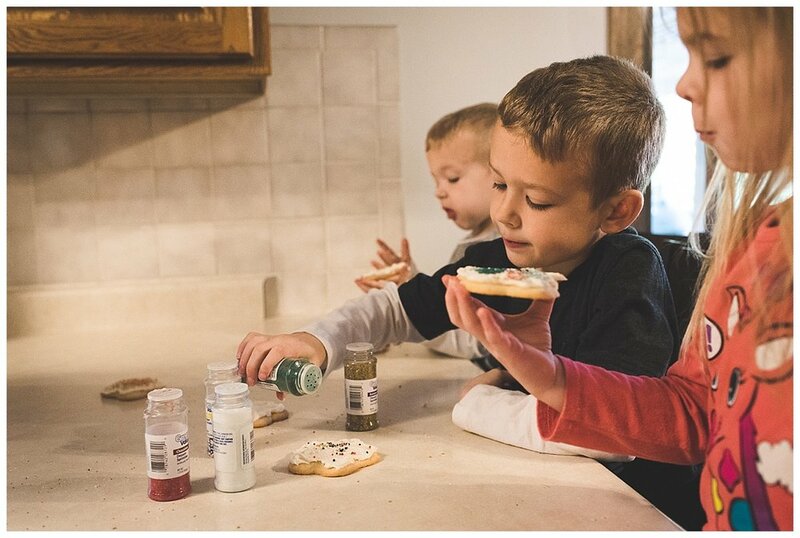 If you are interested in a Holiday Traditions session, contact me soon! The price is $95 and includes 25 Christmas cards.